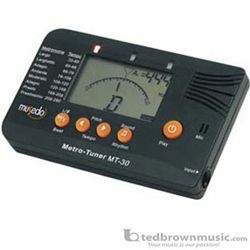 The MT-30 Metro-Tuner is just that... and MORE! We also threw in a Tone Generator to help you get used to various A4 settings. Light, compact, easy to use are a few of the phrases used to describe this workhorse. The addition of the volume control will certainly help in the long run.